Where do you need Garage & Garage Door Services? Jackson Building & Design, Inc.
Scott's Painting & Drywall, Inc. Comment: Am making a bid on this property and would like to put a two car oversize garage in the back yard. I am thinking about a 24' x 28' wood structured garage on a slab. 9' ceilings wired for lights and outlets including 220v in each bay. Open to either "hardi-board" or T1-11 siding with shingle roof to match the house. Comment: Concrete floors have a chalky residue. Need to have them sealed but donât want it to look shiny or change the color. Comment: Have a garage door where the bottom section is damaged (possibly from Florence, possibly one of our visitors hit it - we just noticed it about a month ago, and now in it's 'up' position, the door sags in the middle). I think our only choice is to replace it. Not looking for anything fancy, just an option. Comment: The bottom section of our garage door is damaged (possibly from Florence, or a visitor hit it). Need to know if it can be fixed, or if we need to replace it completely. Comment: Windows, Extra tall for special vehicles Automatic garage door opener, 16x24 with 10 foot door. 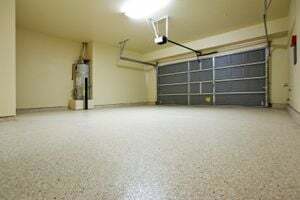 Comment: I would like to get an estimate for constructing a new garage with an apartment over it. 251 C S. Kerr Ave.
Wilmington Garage & Garage Door Services are rated 4.84 out of 5 based on 587 reviews of 27 pros. Not Looking for Garage & Garage Doors Contractors in Wilmington, NC?